I was born in a peasant family in northern village of Hue city. I graduated from The Pedagogical Foreign Language University of Danang in 2001. 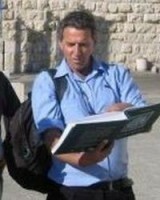 In 2004, I attended in the tour guide training course and got my license in the same year. I live in Hue city. I can arrange excursions in Hue, Quang Tri, Quang Binh, Hoi An. Firstly on behalf local people here I have some greeting to you all and wish you have got a Vietnam trip or holiday full of fun and smiles.I’m Vinh – Glory. I was born and grew up in Hoian – a world heritage city (central part of Vietnam). In Vietnam, becoming tour guide you must have licence,so I studied tourism for 4 months.I took university certificte & tourism certificate for international tour guide licence. 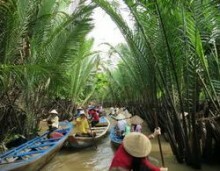 Vietnam has much to offer to any kind of tourist irrespective of his/ her preferences. It seems like this wonderful country has it all – ravishing coastline, breathtaking national parks, emerald-green mountains, one of the world’s best cuisines, dynamic cities, and outstanding cultural interest. The Vietnamese are extremely energetic people, resilient by nature, sharp in commerce and direct. Those who have already been to Vietnam say that it is an outrageously fun country to explore. Probably it is explained by the fact that the locals are always eager to have a good laugh and a good drink with tourists and tell some of their tales. Even despite the fact that the American War is over, you will find reminders on that horrible conflict almost everywhere you travel. It is worth noting that the country was never broken and has gone through this war with its pride intact. Some parts of Vietnam could be called poor but never squalid. It is developing at an astonishing pace thus giving new opportunities for the locals to consider. It is an incredibly varied country to explore – the best tourist destination you can think of. They say that Vietnam is a country of myriad influences and reference points. Visit this remarkable country and judge for yourselves! I am a tour guide in Da Lat city. I work with all energy of a girl in her twenties and her love with the country. I have more than one year experience as a city tour guide for Vietnameses and foreigner. I got some good compliment from my tourists after the tours. Hi guys, My name is Uyen. Singapore diploma is my proud certificate. Humorous and young at heart are two things that can describe about myself. I believe smiling comes from inside and that's a welcome from Uyen, your traveling companion. I love to travel so it's my pleasure to accompanied you during your trip. My name is Duyen Nguyen. I was born and grown up in Hue ancient city, it was ever a former capital of Vietnam from 1802 - 1945, located in the central area of Vietnam. Hue used to be an ancient capital for around 150 years old. That is the reason why there are a lot of mystery and the great unknown which are welcoming the travelers come and explore. Guides are required to possess a license in order to provide guiding services on the territory of Vietnam. Since the local government can be characterized as socialist, there's a significant attention to all the paperwork, which can be checked by the police or the military workers, who are present virtually everywhere. Most of the tour guides working in Vietnam tend to be contracted by tourist companies, however there are also freelance and wild tour guides present in the country. A licensed tour guide is obliged to carry two documents when providing his or her services: the ID card and the travel plan. The ID card, issued by the Vietnam National Administration of Tourism, carries all the necessary information about the guide such as his or her photo, name, and number of license, specialty and other details. The travel plan is a document issued by the travel agency and verified by the local administration that describes the actual plan of action for the tour being conducted by the guide at this moment. If any of these two documents are missing during the actual tour, the guide may be taken into custody and will face a serious penalty. The Vietnam National Administration of Tourism is the national authority governing all tour activities. It provides training to private guides upon request, which lasts several months depending on the specialty, and is also responsible for licensing all the guides who succeed in the final exams held after the courses are complete.